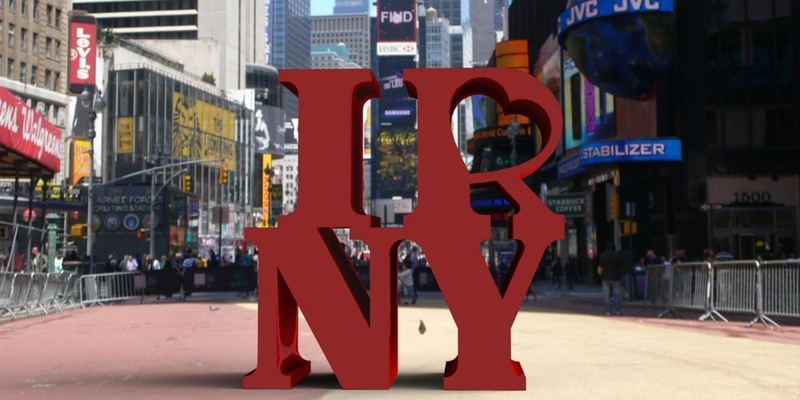 IRNY references the ‘I ♥ NY’ logo by Milton Glaser and ‘LOVE’ sculpture by Robert Indiana, and takes a critical look at today’s world. It is ironic that with the luxuries of the modern world we feel less fulfilled, less happy, and reach back to a past (as this piece has), a past that seems more real fulfilling than our consumptive present. The IRoNY can be seen in Times Square, which used to be a hub for the arts and culture of music, theatre and dance, and now looks more like an outdoor shopping Mecca.